There are many employees in the workplace who work alone or in remote areas where injuries and illnesses can occur. 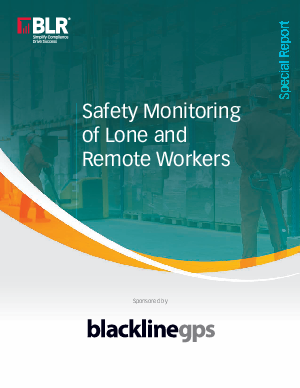 Lone workers are found in a wide range of situations and include those who work by themselves or in an environment where help is not readily available in the event of injury, illness, or an emergency. Are you taking the proper precautions in identifying hazards for lone workers and reducing their risk for injury? If not, your workers could suffer delays in emergency response or medical assistance. In addition, there are some high-risk activities where safety regulations require that at least one other person be present. Stay in compliance and help keep your employees safe with this Free Best Practices Report.